Members included Wayne Preston, Larry Ross and Pierre demudd. Who some of would be included in groups like Bell Telephunk, and Kinsman Dazz. Now on to the music. 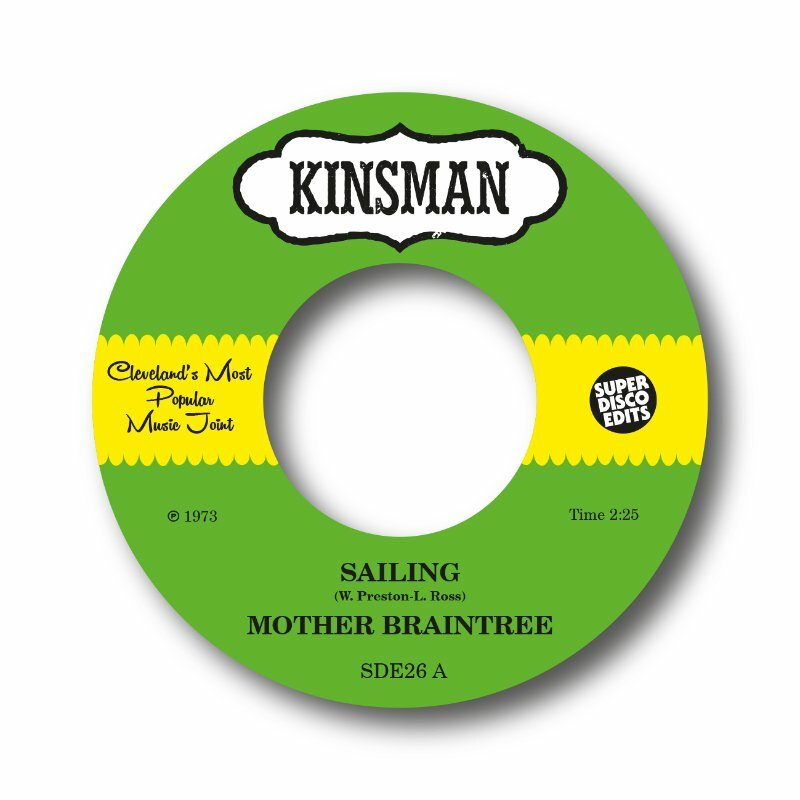 Mother Braintree found themselves recording a studio session in Cleveland’s Selma studios. They recorded around six songs circa 1973. “Sailing” is a short but sweet almost spiritual in feel jazzy number, that’s just been played on Gilles Petersons Worldwide show on BBC6 music. “Let me lay beside you” has turned heads of the sweet soul firm rolla collectors scene, and the beat diggers as well…Heavy on flutes with a lovely drum break. We really are excited about this release.